The old method to apply Gypsum manually took hours of labor and also had poor durability due to manual errors. Now with automation in this field, application through machine is gaining wide spread popularity as its not only faster but also cheaper in long run as very less labor is required. More over the results are much more stronger and durable as compared to old methods. 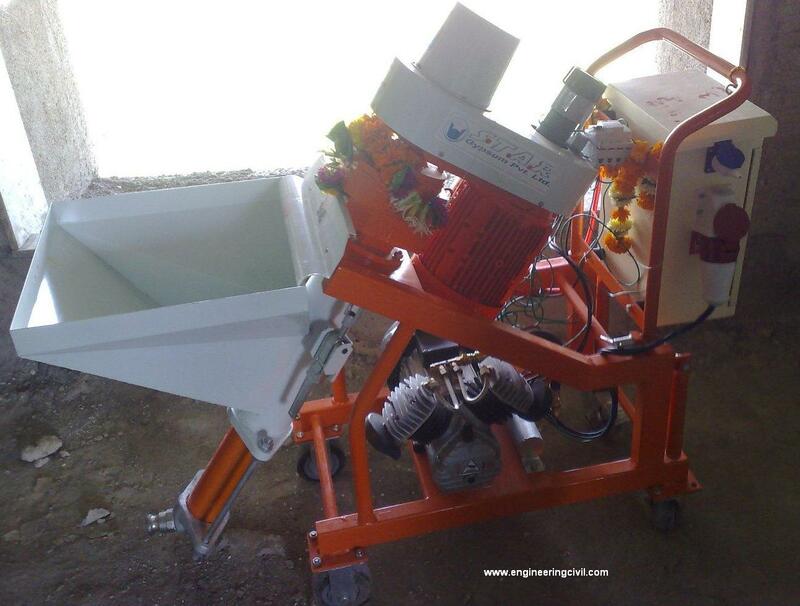 This is the machine which is used to apply Gypsum and we at engineeringcivil.com are thankful to Mr. Chandrahas Amin for submitting this picture to us. What are the IS Codes used for Building Lime And Gypsum Products? I also want all the details of the product. HOW TO I GET THIS?